WHAT IS PINK Newborn Services? PINK Newborn Services® is a nationwide placement service of Newborn Care Specialist (NCS), Overnight Newborn Care/Night Nanny, Postpartum Doula, Certified Lactation Counselor (CLC), Sleep Specialist, Maternity & Child Sleep Consultant, Certified Eco-Maternity/Greenproof Consultant, Parenting Educator, and Nannies. PINK® embodies parenthood as a lifestyle and strives to support parents along their journey from pregnancy and into parenthood, bringing together the highest quality of customer care, education and world-class service. built around the uplifting philosophy: A HAPPY BABY FOR YOUR HAPPILY EVER AFTER. We provide experienced specialists that are prepared and dedicated to providing outstanding in-home service including physical and emotional support for families making the initial adjustment of a new baby. When you're exhausted and not getting enough sleep at home, we come into your home for as much time as needed and care for your new baby at night to help you adjust into parenthood. DON’T LOSE ANOTHER NIGHTS SLEEP! 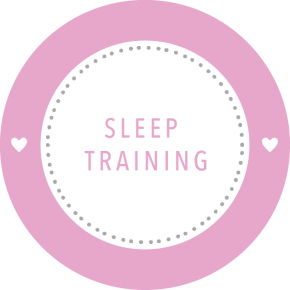 Allow PINK’s sleep specialist get your baby on a healthy sleep routine that will benefit both you and your baby. What do I put on my baby registry? What do I expect when I bring my baby home? How am I going to sleep? Our team of specialist can help! Terri was with our family until our triplets were four months old and we could not have done it without her. Terri provided 24 hour care during the week and helped us to get the babies on a great schedule right from the start.